Iceland has so much to offer travelers, from the wild and dramatic landscape and the majestic waterfalls and glaciers, to the endless adventures to be had while hiking, biking, caving and exploring the natural wonders that fill the Island. Start out in Reykjavik to get your bearings, then set out to explore the island at your own pace, stopping to see whatever you fancy along the way. You can see Iceland as part of a tour group, so you don’t have to do any of your own planning, or you can rent a camper van and drive yourself around to the major sights. Any way you choose to do it, you’ll be in for an adventure of Icelandic proportions. The days are longer, so you have more time to explore, without the crowds and the high-season prices. There may still be some snow in places in April, so be sure to check in advance if there are specific hikes you want to do. As with most destinations, Iceland is busiest in summer. But there is a lot of open space to roam, so you won’t feel crowded outside the city. Prices in Reykjavik are at an all-time high this time of year, and major attractions like The Blue Lagoon will have lines. But it’s a fantastic time to explore Iceland, as you’ll have exceptionally long days with midnight sun, and lots of lush greenery. Prices are lower and there are fewer travelers, so it’s less crowded than summer months. It’s starting to get a bit cooler, and the days shorter. In November and into the winter is when you’ll have the best chances of seeing the Northern Lights. Reykjavik is a small city, but is overflowing with things to do, from art museums, the impressive Hallgrimskirkja Church, Laugavegur walking street and harbor areas. The Golden Circle Route is teeming with natural wonders, like Gullfoss waterfall, Geysir and glaciers. The Golden Circle is a popular tour because of it’s proximity to Reykjavik. The Ring Road circles the entire island and is a popular route for tourists looking to see as much as possible of the landscape, the coastline, and the black sand. If you’re looking for dramatic scenery and adventure, exploring the popular West Fjords and lessor-visited East Fjords will take you through fishing villages and into the wilderness. Most of the popular things to do in Iceland are outdoor activities. Horseback riding, hiking, whale watching, seeing the northern lights, bathing in thermal baths, exploring caves and waterfalls — all of these activities, and more, can be enjoyed throughout Iceland. See our list of the 10 most popular activities to start your planning. Icelandic Hotel Reykjavik Marina ⇒ Read reviews and check prices. Be adventurous and rent a camper van! Check out Happy Campers for prices. I had no idea Iceland was so full of culinary surprises! If you’re a foodie, or just love to travel for food, you have to check out Reykjavik’s exciting food scene and see for yourself! You’re in for a real treat when it comes to the restaurants in Reykjavik. The variety is stunning, the food presentation is eye popping, and the atmosphere is fantastic. 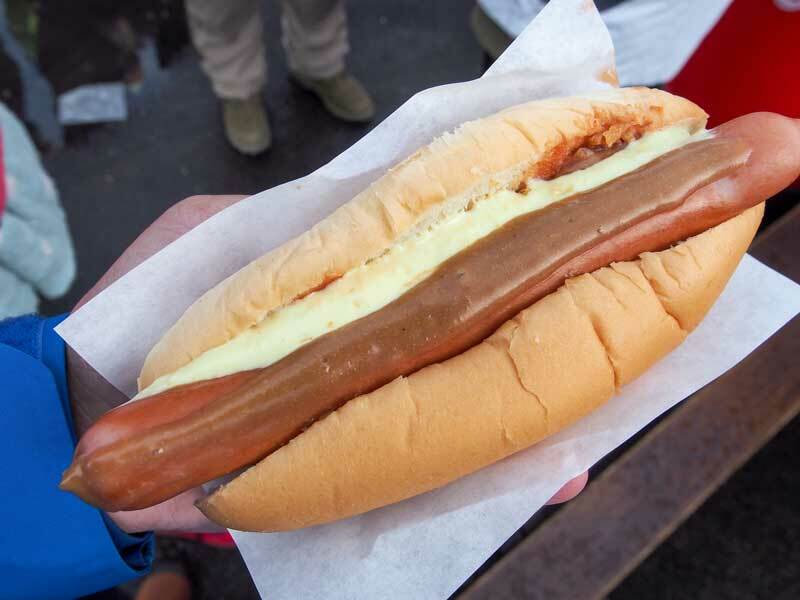 Eating out in Reykjavik can be one of the highlights of a trip there (although rather expensive, so be prepared!). There are many specialty foods you need to try in Iceland. You can find them all yourself, if you go on the hunt. Or you can go on a food tour that will be sure to introduce you to the foods you need to try. Langoustine – They call it lobster on almost every menu, but it’s actually langoustine, a cousin of the lobster. Langoustine can be found in salt water and oceans, and they grow to only a quarter of the size of lobsters. They have a very sweet and succulent meat in their tails. Puffin – Yes, the cute little bird! You’ll find it on many menus around town, generally smoked and with some type of sauce. Lobster or fish stew – The lobster stew that is so famous around Iceland is really fantastic. It’s a mix of lobster stock, cream and spices. No matter what you drink in Iceland, be prepared for it to be twice as expensive as you’re used to. Wine is imported and is at a premium. However, you can always get wine pairings with multi-course meals at the top restaurants. Craft beer is making a big splash in Iceland. MicroBar in the Center Hotel opens at 5pm and has an impressive selection of bottled beer from all over the world, as well as taps from many of the local breweries that you can try in a tasting tray. Maybe think about taking a craft beer tour while you’re there. ⇒ Sample up to 10 of Iceland’s craft beers on an Icelandic Beer Tour in Reykjavik. Book here. Another thing you should drink while in Iceland is the national liqueur, Brennevin. It a strong-flavored schnapps, served as an ice-cold shot. Kick one back and you’ll warm right up. Travel in Iceland is expensive. Be sure you’ve plan ahead for the expense. Read this breakdown of Iceland travel costs to find out just how much it costs. Credit cards are the accepted form of payment everywhere in Iceland, so cash isn’t really necessary. Showering is required before entering a thermal bath, like the Blue Lagoon. The Northern Lights can’t be seen year round. They are best viewed during the coldest months, from midnight to 3am. Use a camera with a tripod to capture them. Make restaurant reservations well in advance in Reykjavik. By reading this Iceland Travel Guide, you now know what to do and where to go, and have sorted out the right time to visit Iceland. So, pack your bags and book your tickets, because Iceland awaits you!